With summer quickly coming to a close, we want to reflect on the memories that made us smile during this sun-filled season. 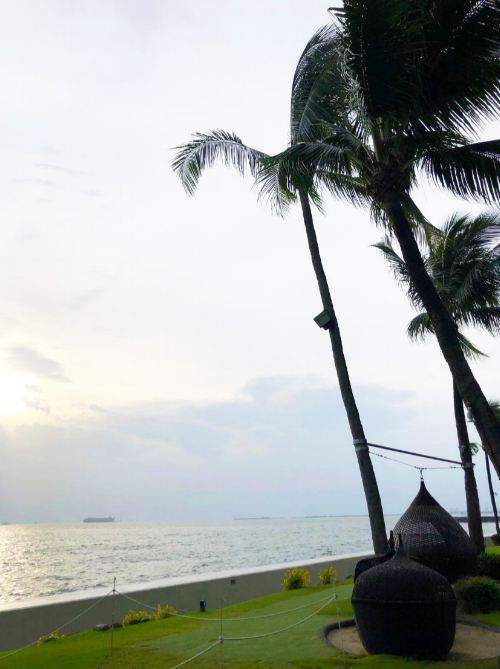 For two weeks this past August, I traveled back to my own tropical paradise, which also happens to be my home town – Manila, Philippines. The whole experience – the warm weather, the authentic local cuisine, the beautiful sites, and of course, being with family – truly made my trip back very special. I’ve always loved sharing my Filipino culture with others, so I wanted to share a simple guide of my favorite sites throughout the Philippines. Boracay is a tropical island in the Philippines surrounded by stunning white sand beaches, clear blue water, and towering palm trees. It’s the perfect place to take time off to relax and renew from the hectic city life. My personal favorite is island hopping at sunrise while snorkeling to see the magnificent coral reefs and diverse marine life. I also love water activities like paddle boarding, jet skiing, and parasailing across the beautiful island. Some of my fondest childhood memories were spent with my family in Tagaytay, a small town that sits on the ridge of Taal Volcano. Peaceful hikes were the perfect time to clear my head while being surrounded by beautiful mountain top and lakeside views. I also enjoyed riding zip lines and cable cars to a top view of the natural surroundings. Far to the edge of the city lies the Manila’s natural harbor called Manila Bay. The bay is a peaceful place to relax amidst the loud city. I often come back to take a sunset stroll on the boardwalk while admiring the surrounding palm trees and scenic view of the bay. Bringing beach vibes to the city, The Cove in Okada Resort is a new personal favorite. The Cove is an indoor beach club by day and nightclub by night under a beautiful glass dome. It’s the perfect place to feel the beach without taking the long trip. You can enjoy beach-themed drinks with your friends while sitting poolside, or in a private bungalow or cabana while enjoying live concerts and events. Modeled after the iconic Venice Canals, the Venice Grand Canal Mall has its scenic qualities while still maintaining its Filipino core. 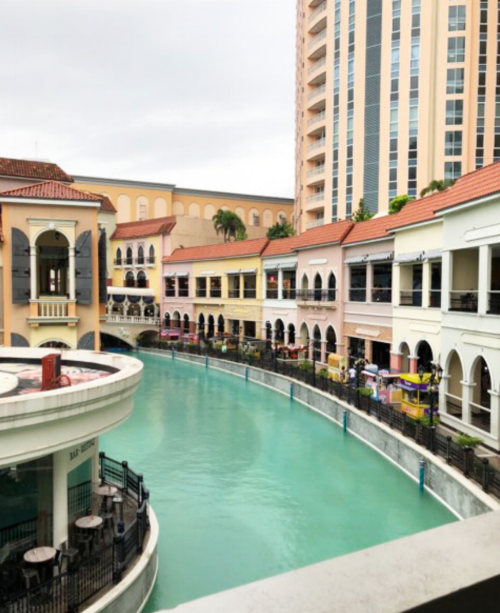 With a beautiful river that flows through where visitors can ride gondolas around the mall there are festive Filipino food kiosks and chic shopping areas that surround it. It combines the luxury shopping with a nature-set scene for the perfect daytime hangout. The natural beauty and one-of-a kind sites of the Philippines make it an amazing place to be. With endless things to see, every trip back is a memorable adventure. We hope you all had a wonderful summer and are ready for more exciting things to come in the Fall!